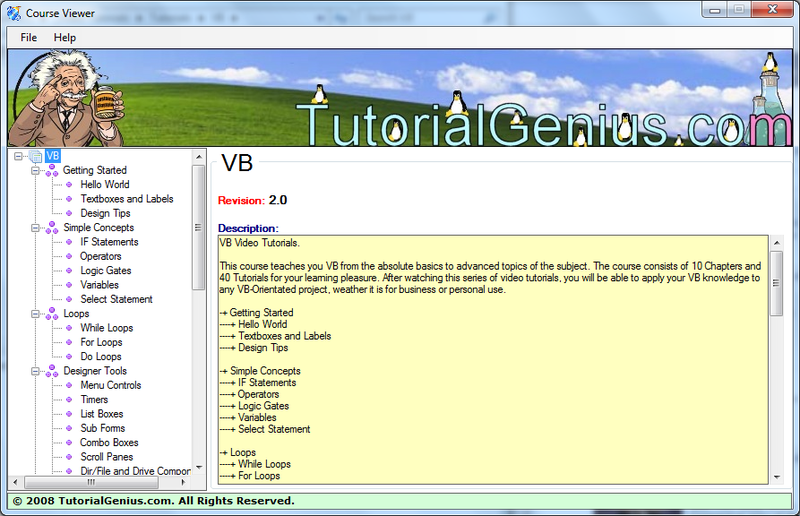 Course Description This course teaches you VB from the absolute basics to advanced topics of the subject. 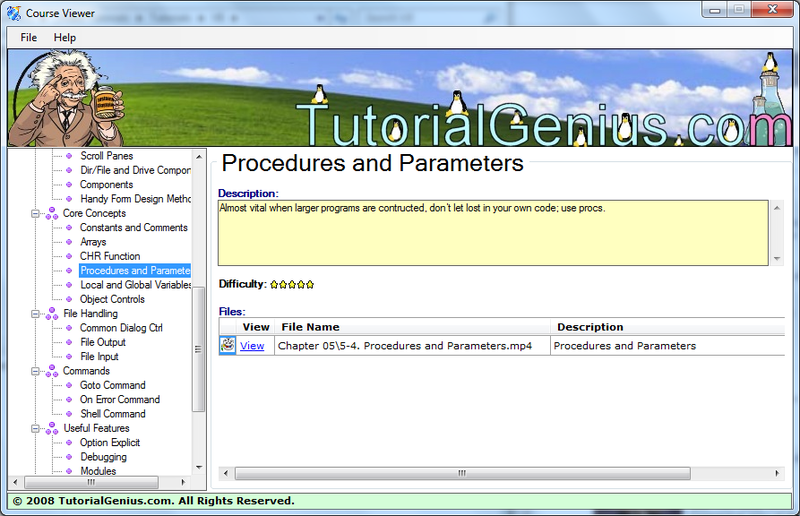 The course consists of 10 Chapters and 40 Tutorials for your learning pleasure. 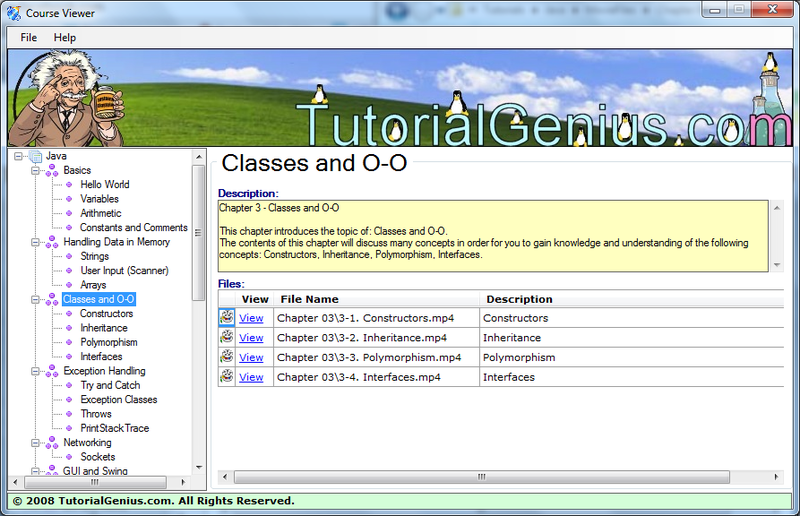 After watching this series of video tutorials, you will be able to apply your VB knowledge to any VB-Orientated project, weather it is for business or personal use.